Army and Air Cadets from Witney and the surrounding area joined Her Majesty’s Lord-Lieutenant of Oxford, Mr Tim Stevenson OBE, Regional Commandant of South West Region Air Training Corps, Group Captain Eddie Cole OBE RAFR, The Chief Executive of South East Reserves’ & Cadets’ Association, Colonel (Retired) Patrick Crowley and the Right Honourable Mayor of Witney, together with other local and military dignitaries at the official opening of their new Joint Cadet Centre at Witney, on Monday 09 October 2017. The new Centre will be home to approximately 40 Army and 40 Air Cadets and replaces the previous Army Cadet Force accommodation in ‘The Yard’, a very small Hut within the very busy Witney High Street, and a ‘Hiring’ for the Air Training Corps Squadron, at the Batt Church of England School since 2009, neither of which properly met the accommodation scales required for Cadet Units. 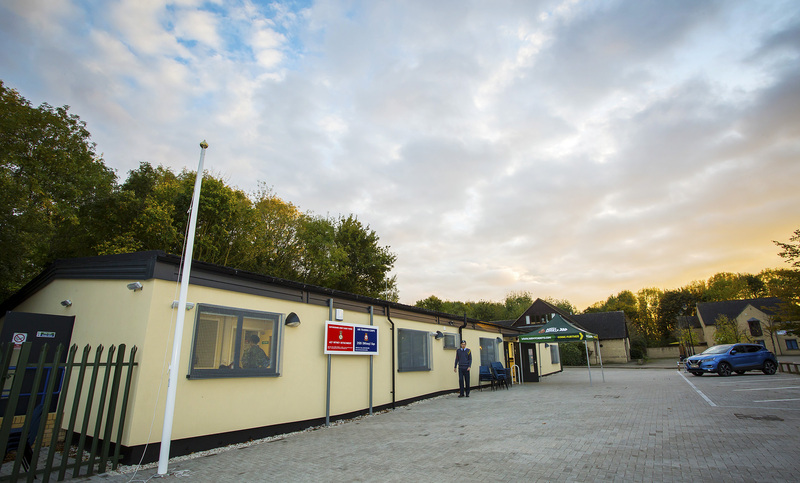 This new facility is based on the current MOD Cadet designs for these Centres and includes a joint use Drill Hall, classrooms, kitchenette, toilets and, as well as administrative offices for adult personnel, separate store rooms and a flight training and communications room for the Air Cadets. Army and Air Cadets from Wokingham and the surrounding area joined Brigadier Phil Kimber OBE, Commander of 11 Infantry Brigade and Headquarters South East, Regional Commandant of South West Region Air Training Corps, Group Captain Eddie Cole OBE RAFR, The Chief Executive of South East Reserves’ & Cadets’ Association, Colonel (Retired) Patrick Crowley and the Town Mayor of Wokingham, Councillor Peter Lucey, together with other local and military dignitaries at the official opening of their new Joint Cadet Centre at Wokingham, on Monday 13 November 2017.